I was born in the north-east of France (Vosges) and grew up in Metz where I did the first two years of a history/history of art degree and moved to the Sorbonne (Paris) to take the licence and a master in history under the supervision of Professor Jean Meyer. My master topic was on French politics in the mid eighteenth-century. I studied the political ideas of the officers of the Parlement of Paris during the crisis of the Maupeou Reform (1771) and the life of their followers under Louis XVI, until the suppression of the Parlement of Paris in 1791 and throughout the French Revolution. I then proceeded to doctoral studies at the Ecole des Hautes Etudes en Sciences Sociales under the supervision of Professor Guy Chaussinand-Nogaret. My initial PhD subject was on the French nobility during the French Revolution and the 19th century. 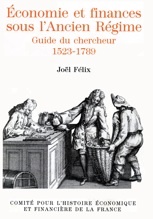 To fund my research I worked as a researcher for the Maison De Dietrich, a family of merchant bankers who moved to Strasbourg in the 16th century, were ennobled in the 1760s and became and still own one of the largest French industrial companies. In 1987-1988, thanks to research grants from the Ministère des Affaires Etrangères and the British Council, I spent a year in Oxford, where I was attached to the Maison Francaise and Hertford College, to develop a comparative project on 19th century French and British aristocracies. When I came back to Paris I joined Edna Lemay’s research group and CNRS-funded research project to write a Dictionnaire des Constituants (1991, 2vols, preface by F. Furet) for the Bicentenary of the French Revolution. I contributed the entries of the deputies of the nobility elected to the Estates General. 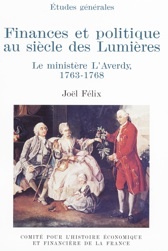 I was also associated to Edna Lemay’s research seminar at the Ecole des Hautes Etudes en Sciences Sociales on the history of the Constituent Assembly (1789-1791).. In 1997, I moved from Paris to Reading where I was appointed lecturer in the Department of French Studies, promoted to readership (1992) and professorship (2005). I became head of French Studies (2004/08) and was in charge of RAE 2008. Further to a Leverhulme fellowship (2008/9), I was appointed head of the Department of Modern Languages and European Studies (2010/13) and took on the REF leadership. In 2013 the ERSC awarded me a three year Professorial fellowship to write a book on the Fiscal Origins of the French Revolution and organise a series of Public Lectures on Historical Finance as well as two international conferences. In September 2013 I joined the History Department. 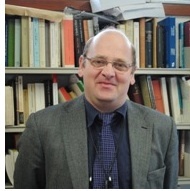 I am a member of the Comité des Travaux Historiques et Scientifiques, a fellow of the Royal Historical Society and I am on the editorial board of European History Quarterly and Histoire & Mesure. This entry was posted in Spotlight On.... Bookmark the permalink.